Jungle cat is found in Egypt, western Asia, Indian subcontinent, Burma, China Thailand, Vietnam and Cambodia. 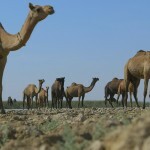 It was first classified according to modern scientific nomenclature in the Caspian area and hence given the name Felis chaus. 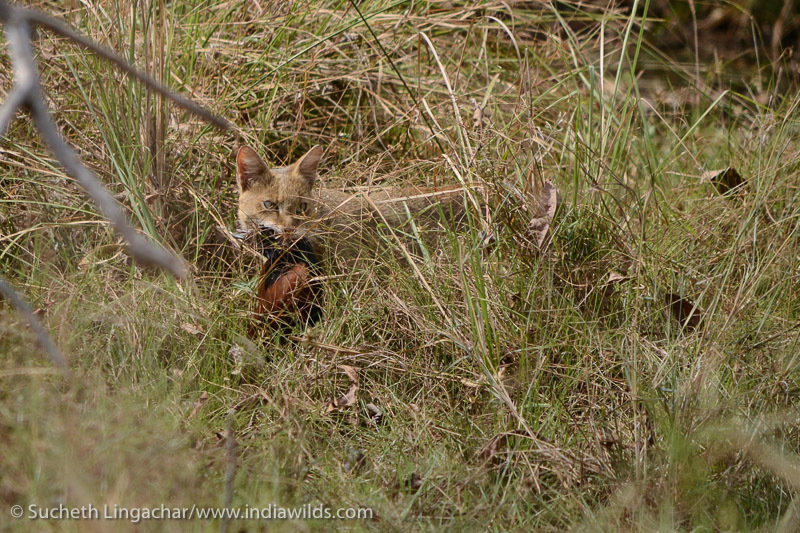 According to IUCN classification the status of Jungle Cat is ‘Least Concern’ and the population trend is decreasing. 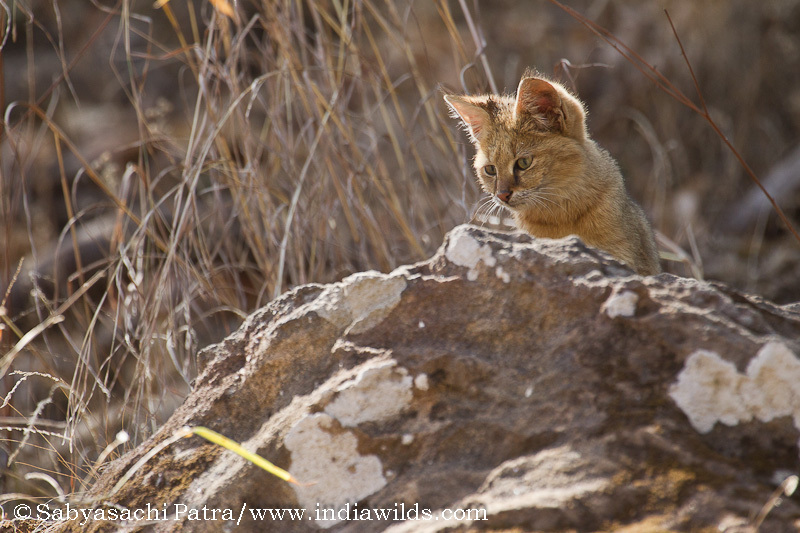 Jungle cat is widely distributed in India in open forests and scrub (M. Krishnan in India’s Wildlife in 1959-70, pub BNHS). 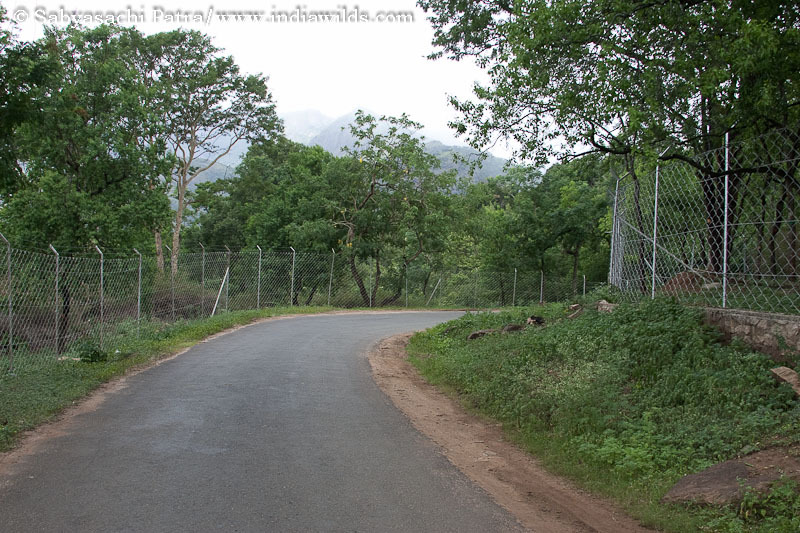 It is found practically all over the Peninsula from the Himalayas to Cape Comorin. It is common inhabitant of most jungles (F. W. Champion, Tripwire for a Tiger: page 87), commoner in the drier parts of the country keeping more to grassland and scrub-jungle and the reedy banks of the rivers. (The Wild Animals of the Indian Empire, page 118 by S. H. Prater). It is very adaptable and occurs in habitats ranging from the vicinity of human dwellings to the densest forest (Indian Wildlife: J. C. Daniel, page 80,81). With its long legs and comparatively short tail the Jungle Cat has a very distinctive appearance. (The Wild Animals of the Indian Empire, page 118 by S. H. Prater). 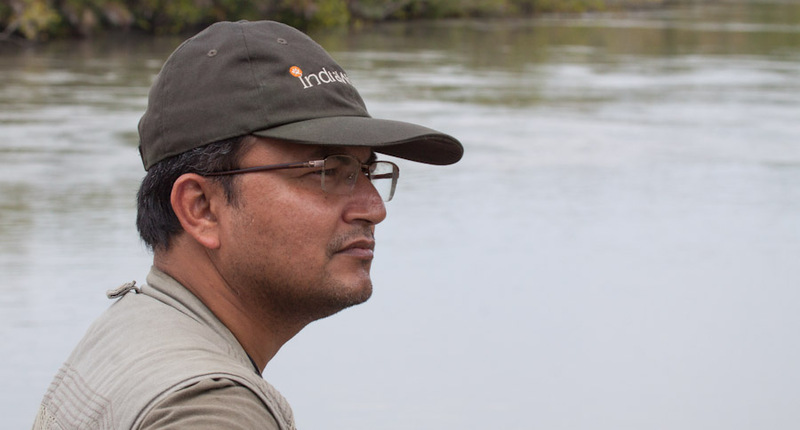 Shri M. Krishnan feels that there is a difference in colouration of jungle cats in Tadoba National Park and has written that there seems to be a greater admixture of brick red in the grey especially in Tadoba National Park (India’s Wildlife in 1959-70, pub BNHS, page 66). The Jungle Cat is a stalk and ambush predator. 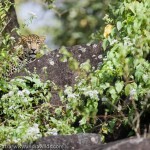 The Jungle cat is often on the look out for rodents, gerbils, insects and also feeds on eggs of birds, especially ground nesting birds, chicks and is ever ready to pounce upon birds feeding on the ground, drinking water or when perched on low branches. In Keoladeo Ghana I observed it being flushed out from bush from its hidden position near water and it made its annoyance known to the feral cattle with a sound resembling a small roar. According to Dunbar Brander its chief food consists of birds and small mammals. It is especially destructive to game birds, most of which it kills and I have even known it to kill peafowl (Wild Animals in Central India, pg 273). “Though catholic in diet, it lives largely on small mammals and birds”. 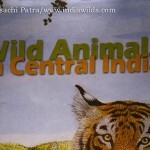 (Indian Wildlife: J. C. Daniel, page 80,81). They are also observed to feed on kills by other predators. George Schaller had examined the droppings of jungle cats during his study of Tiger in Kanha in 1964 and had found evidence of Jungle Cat feeding on rats, mice and lizard. All of the 27 droppings collected contained the hair and bones of rats and mice and in two instances also the remains of a lizard. (Deer & the Tiger: A study of wildlife in India, George B. Schaller, pg 312). 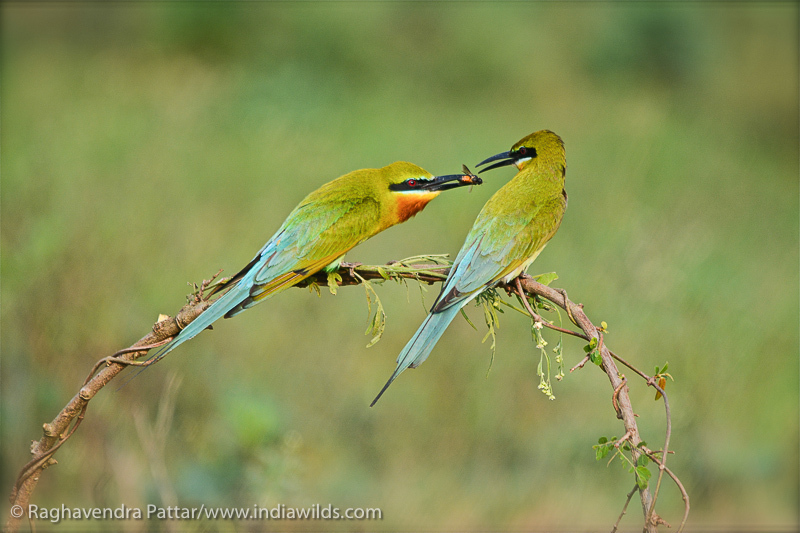 A study in Sariska estimated Jungle Cats to feed on an average between three to five rodents daily (Mukherjee et al 204). All my observations have been that of lone individuals which is in conformance with the popular belief. “They are solitary; outside of mating situations, the only enduring social contact is between mother and young” (Sunquist and Sunquist, Wild Cats of The World, page 63). 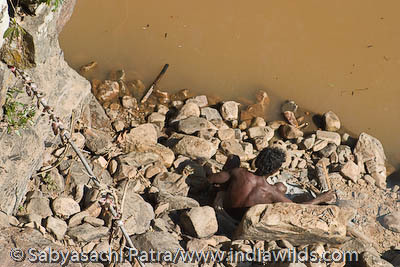 However, M. Krishnan has observed four adult jungle cats crouching at one place 4 adults were seen crouched immobile in the open, near water, and in a bush near an artificial salt lick, evidently lying in wait for partridges, doves and other birds visiting the water and lick. (M. Krishnan, India’s Wildlife in 1959-70, pub BNHS, page 66). This is a telling commentary on how poorly studied this species is. The colonial mentality of branding any animal as a vermin or menace is also reflected in Dunbar Brander’s writing about the Jungle Cat in the Book Wild Animals in Central India which was first published in 1923. Quote “This cat is a savage intractable animal, and as it kills an immense amount of game should be destroyed whenever possible. F. W. Champion who was a forest officer working in United Provinces writes that “a reward of five rupees is paid for its destruction in the reserved forests of the United Provinces”, making us realise that persecution of jungle cats was prevalent in the entire India under British rule. 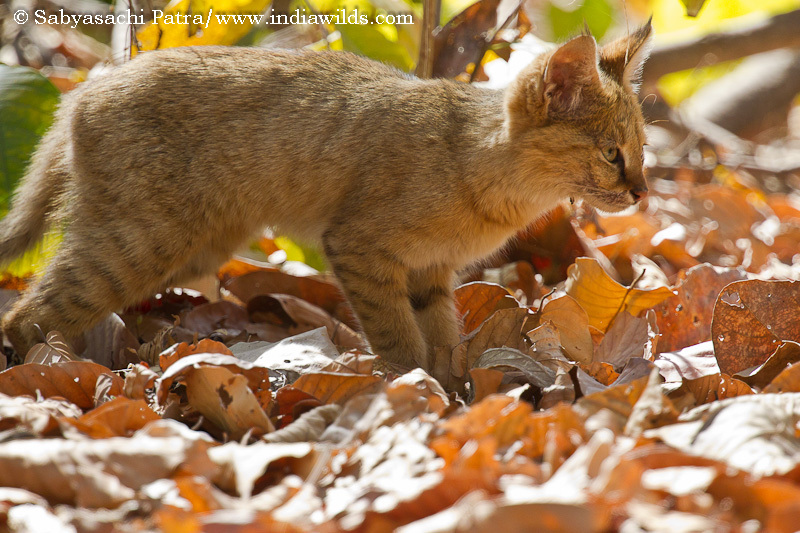 The population trends of Jungle cat is categorised as decreasing by IUCN. The sightings in the field are decreasing in the usual habitats. Since it is not a charismatic species like the Tiger, it can swiftly get locally exterminated in a major part of its range due to habitat destruction and breeding with domestic cats. Conversion of forest lands into agriculture brings them more into contact with people in Srilanka(Wild Cats of the World: Sunquist & Sunquist 2002, page 64) and would hold true for India. Reclaiming wetlands, which are technically revenue lands, for housing also brings them in conflict with people (Bhubaneshwar, Pers observation). 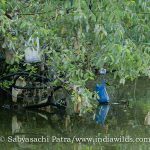 Specific steps should be taken to protect the riparian habitats and wetlands would be a big help in protecting this species. Specifically increasing the health of our wetlands near our cities and towns and curtailing the anthropogenic pressures would help them survive in these human dominated landscapes as well. Terrific pictures Sabyasachi and such a thorough write up! Thanks a lot. I am happy that you liked the images as well as the article.